In this season of tax, get acquainted with the benefits provided by Reliance Tax Saver Growth Fund, and plan your investment soon! Reliance Tax Saver Fund is an ideal tax saver mutual fund which the fund manager Mr. Ashwani Kumar manages in a different style on several counts. 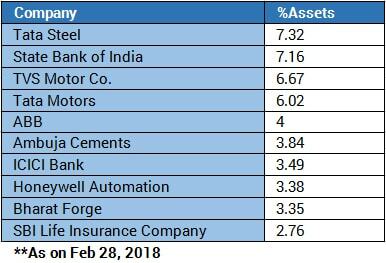 In the bucket of ELSS funds where most of them maintain a multi-cap portfolio with the maximum amount of allocation in large-cap stocks, Kumar tends to invest in small and mid-cap stocks which suits his conviction level, and this approach has succeeded in giving extraordinary returns in positive sentiments of the market. Reliance Tax Saver Fund tends to outperform in a mid-cap rally due to its exposure in that segment and driven by market cyclicality. To understand how this fund can be a good choice if you are an aggressive investor expecting high returns, go through the blog to the end. Also, learn why it is a must-have scheme for you as well! Before jumping onto the fund’s insights, let’s know more about the fund house. Reliance Mutual Fund – How it All Began? Reliance MF is an integral part of the Reliance Anil Dhirubhai Ambani (ADA) Group which commenced its journey in the mutual fund industry on June 30th, 1995. In no time, it grew into one of India's leading asset management companies with average assets under its watch to the tune of Rs. 243593.68 crores as of December 2017. The organization has even earned the mark of one of the fastest growing AMCs in India by offering a well-balanced portfolio of products to its clientele and catering to their varying requirements. With a national presence stretched across 160 cities, Reliance MF constantly strives to come up with innovative products and outperforms the benchmarks of servility to bestow value to its investors. Reliance Tax-Saver Fund (G) is an open-ended tax saving scheme for those investors who are planning for tax saving and long-term wealth creation with the philosophy of taking a moderately high risk to make high returns. The tax saving feature will aim to curb down the tax liability of the investors, and this will be an indirect form of profits which will add to the wealth creation. Its NAV as on March 15, 2018, stood at Rs 60.64 with assets under its watch to the tune of Rs 10,345 crores. It has achieved four-star rating as per MorningStar, and the returns record have been quite impressive shooting up to 13.80%, and 21.88% for a one year and five years investment period, respectively. The scheme has been able to outperform its benchmark S&P BSE 100 with good margins. Reliance Tax Saver Fund Growth aims to achieve the right balance between large-cap as well as the mid-cap companies. It endeavors to invest in potential leaders, thus chooses the companies with the potential of high growth prospects over the medium term, say 2-3 years. Generally, the scheme has two or three sector calls at a time which are mostly in-line with emerging market trends. A small portion of the portfolio is invested in contrarian calls as well. However, the significant percentage of the outstanding equity of the scheme is invested in high conviction mid-cap companies. Also, the primary allocation is taken in multinational companies (MNCs). The fund attempts to have a balanced portfolio on a macro basis; thus it allocates its assets to themes like Domestic, Consumption, & Defensive. The fund manager Mr. Ashwani Kumar has been associated with the Reliance Capital Asset Management Ltd since 2003. He was previously working as a senior research analyst at Zurich Asset Management Co Ltd from where he started off his journey in the year 1993. With over 15 years of experience with this AMC, he has been successful in providing capital growth to the investors through his wise investment strategies. Currently, he is managing the Reliance Tax Fund and dealing in Indian equities using a growth investment style. Considering his educational background, he is an MBA in Finance from the University of Poona. To sum it up, Kumar is an industry veteran and has an excellent track record of generating higher alphas as a fund manager. Considering the above data, the fund manager has clearly showcased his contrarian nature of the investment. The major allocation is done in the automobile, financial, as well as engineering sector. The strategy is simple, as he believes in focusing on high-quality companies which can grow earnings sharply in the next 2-3 years. This justifies his sector allocation which is highest in the automobile sector. Taking stats into consideration, Indian automobile exports grew to about 13.01 percent in between April-December 2017. Also, due to several initiatives by the Government of India and the major automobile players in the Indian market, it is expected that India will be the world leader in the 2W and Four Wheeler (4W) market by 2020. This industry is supported by various other factors as well such as the availability of skilled labor at low cost, robust R&D centers, and low-cost steel production. Thus, it’s bound to provide excellent opportunities for investment in the upcoming days. Several investors focus on tax savings only and they kind of ignore the growth potential of the invested amount. The outcome of which is that they get sub-optimal returns, and they struggle to beat inflation on a post-tax basis. In case of Equity Linked Savings Schemes, they offer both 80C tax savings and wealth creation benefit over a sufficiently long investment horizon. However, the returns thus generated are not tax-free now due to the inclusion of LTCG tax on equities, but still, it is the best tax saving option as compared to others. They have a lock-in period of just three years. Besides, the proceeds of ELSS, once the lock-in period is over, can be re-invested to get further benefit of 80C tax savings. With more than 12 years of wealth creation, Reliance Tax Saver Growth Fund has established itself as one of the best Equity Linked Savings Schemes (ELSSs) in the Indian Mutual Fund industry. Investors looking to save taxes under Section 80C of the Income Tax Act of India, 1961 can consider investing in this scheme. You can opt for any route be it through the systematic investment plan (SIP) or lump sum, but with a long time investment horizon. Henceforth, if you're aiming to kill two birds with one stone - getting high returns together with tax saving, then this scheme of Reliance Mutual Fund can be a preferable choice. Last but not least, when investing in ELSS or Equity funds, the investor must ensure that the investment objectives of the selected scheme are aligned with his risk profile, time horizon, and financial planning objective. In case you have doubt, consult with our experts. We, at MySIPonline, are ever ready to provide you with the best online investment services. You can quickly reach out to us via phone call or email.